The Sailors jump to a quick start going up 3-0 after 1, the goals were scored by Andrew Taylor, Jager Kelly, and Cayden Mollema. Shores started off the second period with a goal from Andrew Swirczek, but allowed two against them before the end of the period. Connor Winegar scored in the third to give the Sailors a 5-2 win over Wyandotte. 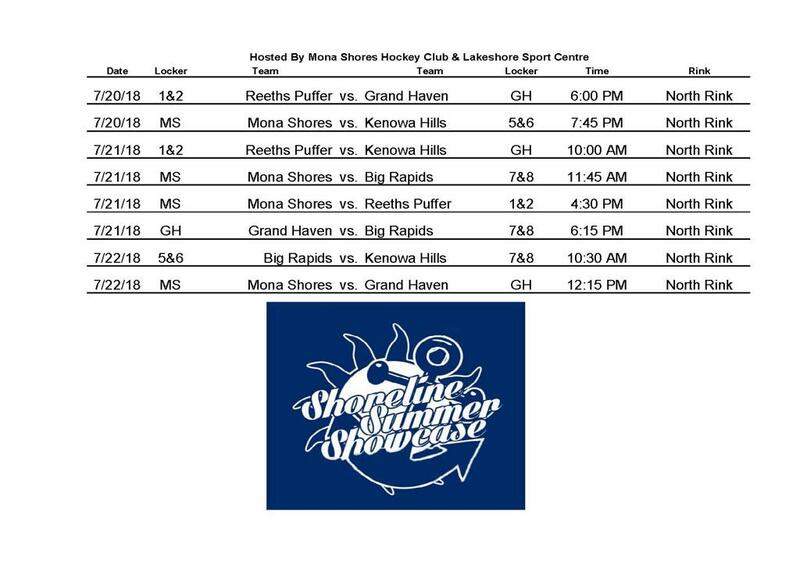 Mona Shores takes on St. Frances Cabrini on Friday at 5:30 at Lake Shore Sports Centre. Mona Shores Youth Player of the Game. 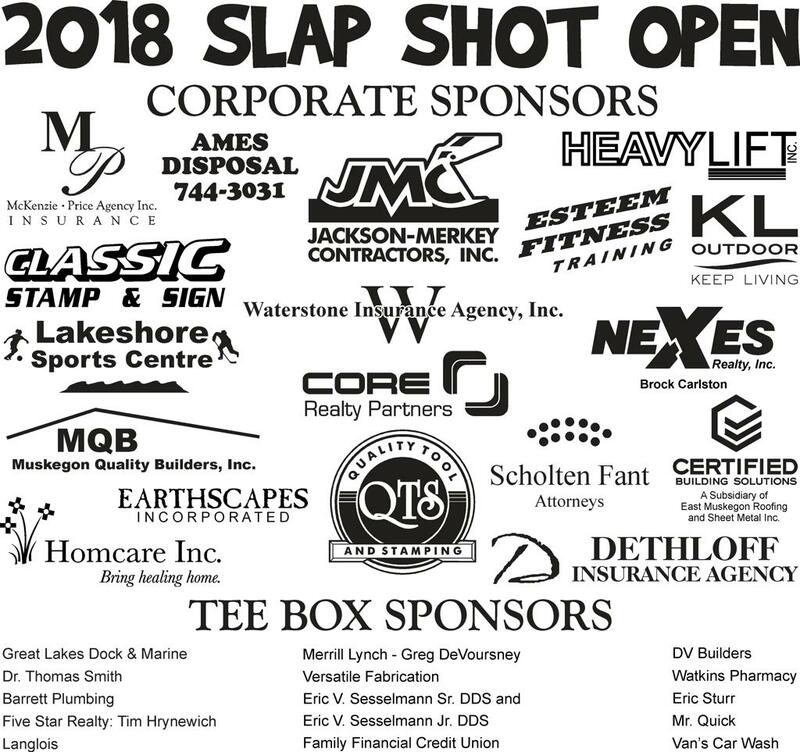 We will be featuring local youth player at all of the home games this season. 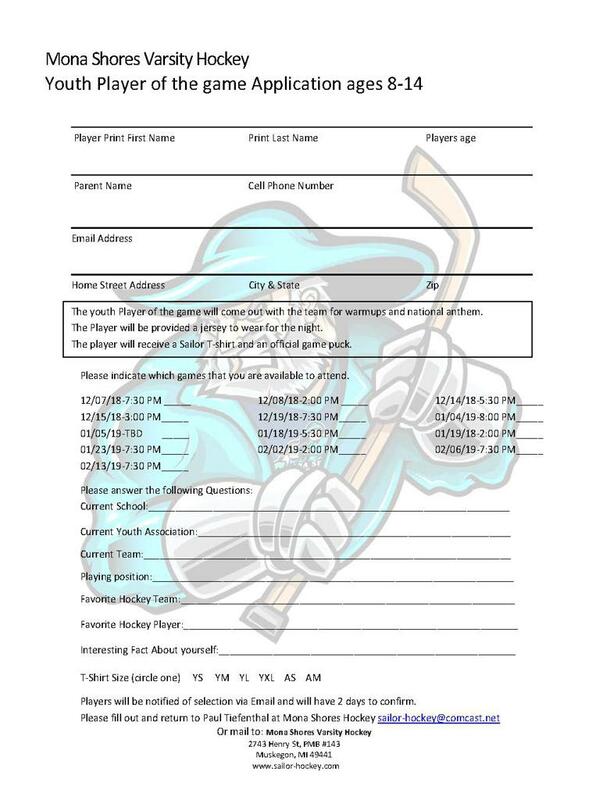 If interested please download the application form and return it to Mona Shores Hockey. The player will wear a team jersey for the night. Will skate out in full equipment for the National Anthem. 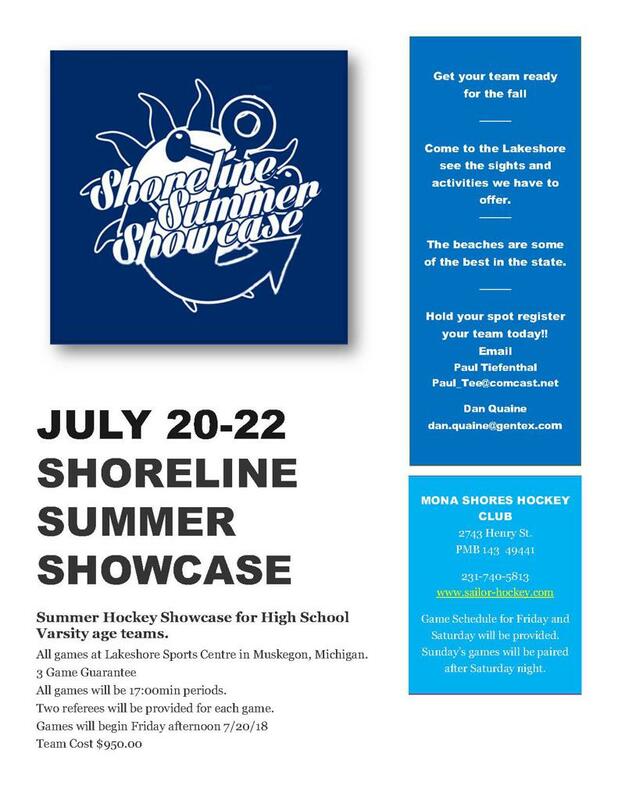 They will also receive a Mona Shores Hockey T-Shirt to keep. 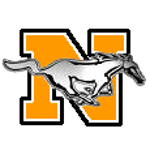 Despite Scotty Cotner’s goal 30 seconds into the game, the Sailors would fall to the Mustangs of Northville 3-1. Tied after the first period, the Mustangs would score 2 more goals in the second to jump on top 3-1 going into the third. 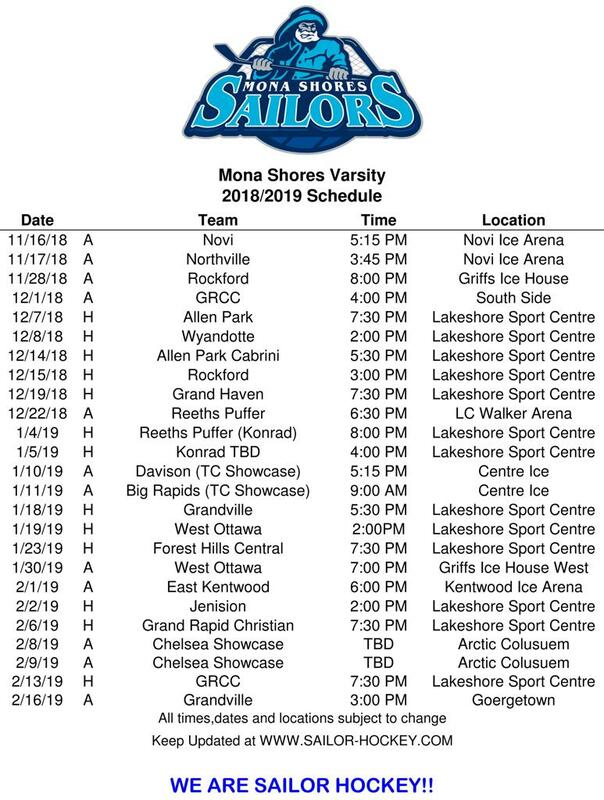 The Sailors travel to Griffs Ice House to play Rockford on November 28th at 8 pm. 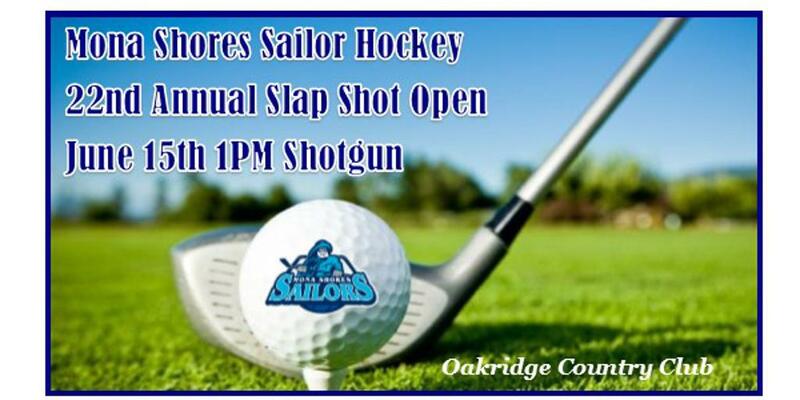 The Sailor came into their season opener looking for a win against the Wildcats of Novi. After a Wildcat goal 2 minutes into the game, Brendan McNarland would tie the game at 1 just 3 minutes before the end of the period, but Novi would score one more time to go ahead before the end of the period. Mona Shores was looking to come back during the second period, but the second period would end in Novi’s favor after they scored 2 goals. Andrew Taylor would score a few minutes into the third hoping to build up the momentum of the team for the rest of the game, but after 2 back to back goals from Novi allowing them to go ahead 6-2 before the end of the game. 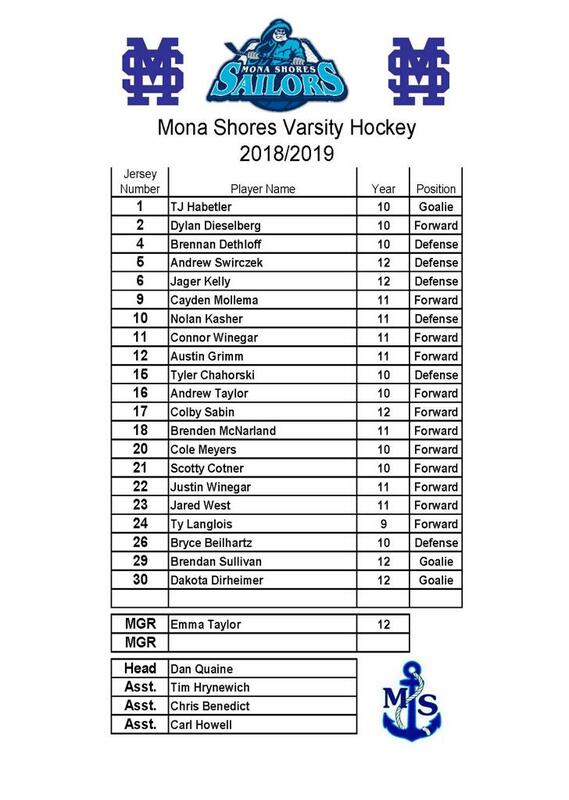 Mona Shores takes on Northville tomorrow at 3:45 at Novi Ice Center. 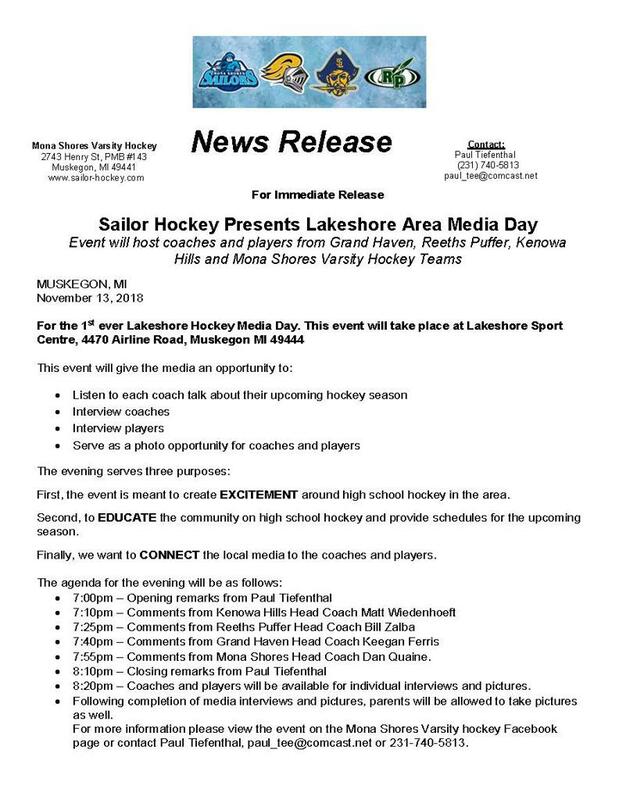 Lakeshore Hockey Media Night was a huge success. with coverage from Muskegon Channel. 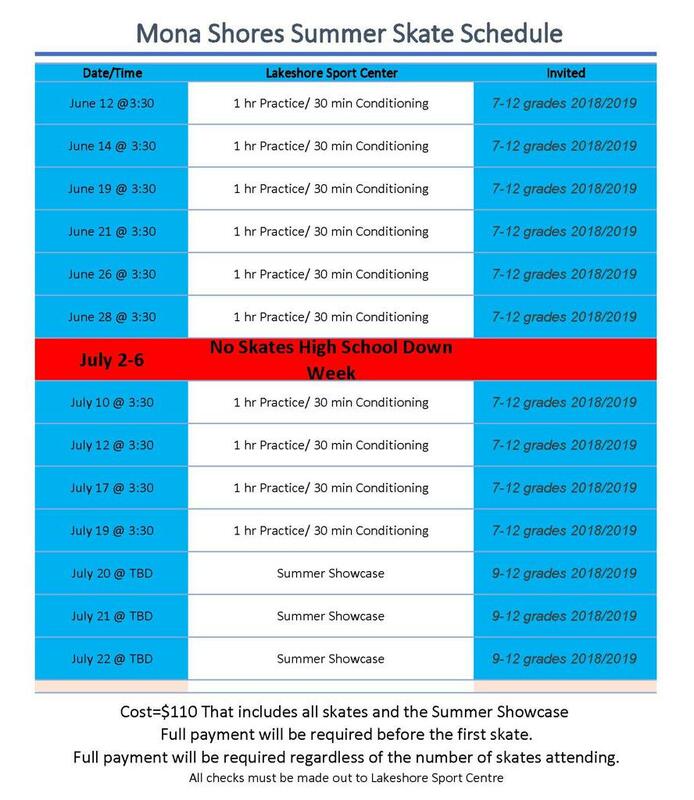 Are you interested in playing on a preseason Fall team. 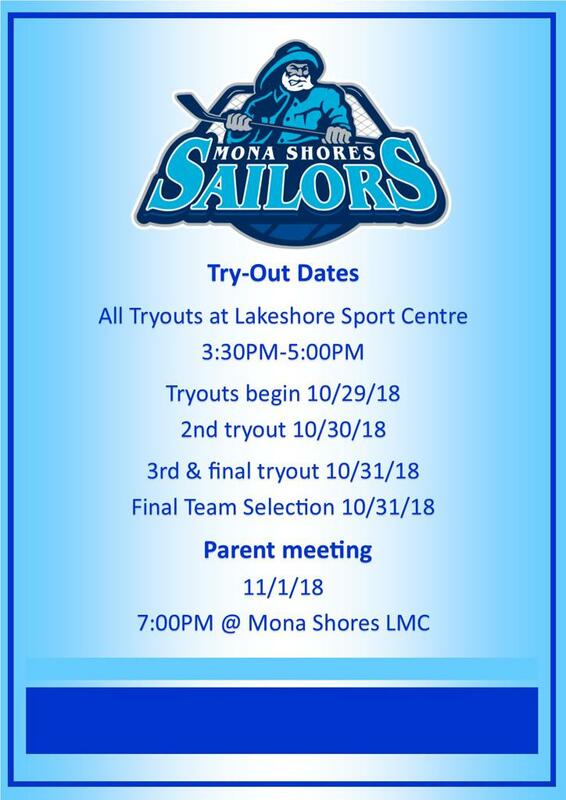 Please contact Coach Dan Quaine for details and further information. 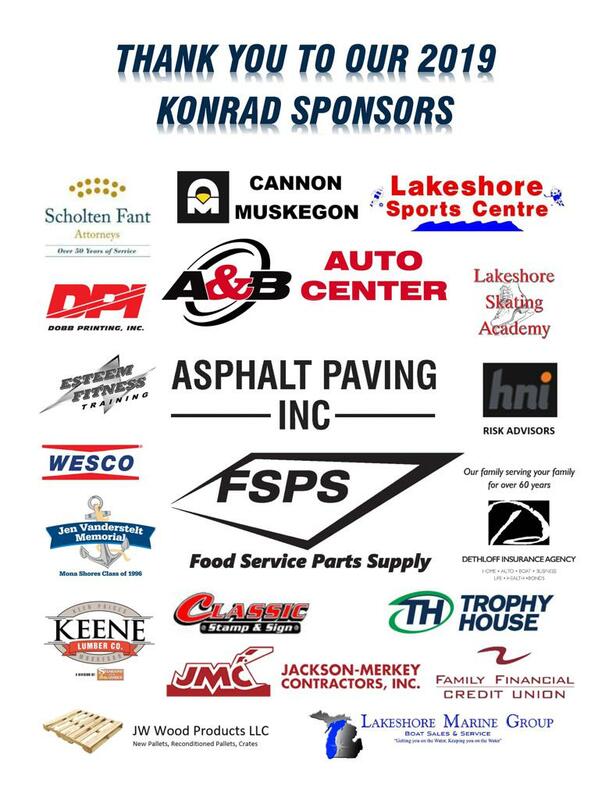 The old Facebook "Group" was scheduled for archive, so we created a new "Page" for Mona Shores Hockey fans to follow the team. 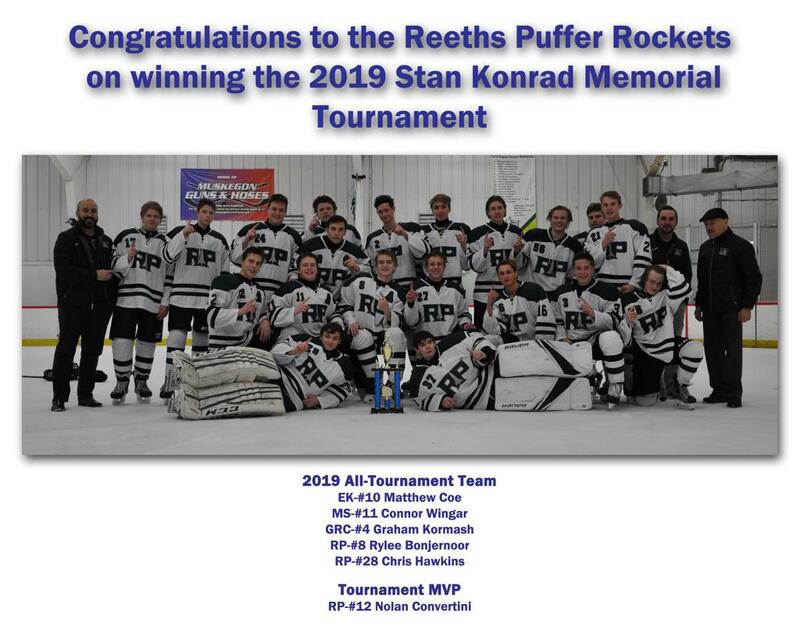 ©2019 Mona Shores Varsity Hockey Club / SportsEngine. All Rights Reserved.